Jesus gave his disciple Peter the "keys of the kingdom of heaven" and promised that whatever Peter "bound" and "loosed" on earth would be "bound" and "loosed" in heaven. What scriptural allusions lurk beneath these expressions and what are their implications? How does the Jewish literary background of Matthew 16:19 help us better appreciate Jesus’ words? Pirke Avot, also known as The Sayings of the Fathers, or, simply Avot, is unquestionably one of the most valuable rabbinic texts for comparative study with the synoptic gospels. 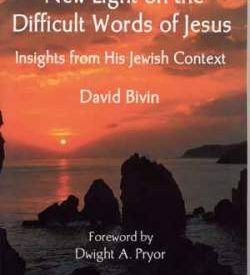 Spanning time from the emergence of Hellenism in ancient Israel through the first two centuries of the Christian era, Avot is a collection of maxims to which some sixty sages and rabbis have contributed. The deceptively simple sayings of Avot carry potent theological and ethical implications that have been driven firmly and purposely into the consciousness of Judaism. Moreover, the theology and ethic, and the language and imagery through which they are communicated, stem directly from the conceptual world of the biblical text. This has motivated individuals like the Gaon of Vilna, an eighteenth-century A.D. rabbi-scholar, and others, to demonstrate how the sayings of Avot have their origin, or parallel, in Scripture. Every person whose learning exceeds his or her deeds, what does this person resemble? A tree whose branches are dense but roots are sparse. A wind comes, and uprooting the tree, turns it upside down. But every person whose deeds exceed his or her learning, what does this person resemble? A tree whose branches are sparse but roots are dense. Even if every type of wind were to come against this tree, it would not move the tree from its place. The imagery of this parable is reminiscent of Jeremiah 17:6, 8, and in some manuscripts these verses have been appended to the parable. A more sophisticated example of how Scripture lurks beneath a maxim occurs when a sage alludes not to a single verse, but to a pair of verses. Rabbi Yehudah ha-Nasi once said, “Be as mindful of a light commandment as of a weighty commandment, for you do not know the reward of each commandment.” Rabbi Yehudah has tapped into a complex of ideas generated by the bringing together of Deuteronomy 5:16, a weighty commandment from the Decalogue carrying a promise of prosperity, and Deuteronomy 22:7, a light commandment carrying the same promise. The hermeneutic that enabled these verses to be juxtaposed operates on a concordance-like principle. The phrase לְמַעַן יִיטַב לָךְ (lema’an yitav lak, so that it may go well with you) and the idea of lengthened days appear in both verses. This method of joining verses and interpreting them in light of one another was popular among ancient Jewish sages, and very much second nature, because, when memorizing the Bible, they not only memorized according to its natural progression, but atomized and recombined Scripture from disparate contexts on the basis of hermeneutic principles or already existing traditions. This way of memorizing could be compared to a child who, after learning the alphabet, decides to memorize it repeatedly backwards, inverted, and in various other ways, one of which may include A, Z, B, Y, C, X, etc. When a sage links a verse from the Torah to another from the Prophets, and both of these to another from the third section of the Jewish canon, the Writings, the process is called חֲרִיזָה (harizah, stringing). What has been discussed so far in reference to Avot, namely, the explicit quoting of Scripture, the making of allusions to Scripture, and the atomizing and recombining of Scripture, is equally applicable to the synoptic gospels. Like in the rabbinic maxims, Jesus occasionally quoted verses straight from the Bible. For example, in Matthew 11:10, Jesus applied Malachi 3:1 to John the Baptist. More common, however, are allusions or hints at verses of Scripture. A fine example of this technique is Matthew 11:12, where Jesus described the kingdom of heaven as “breaking forth.” “Breaking forth” is an allusion to Micah 2:13. In this passage the one who breaks forth, הַפּווֹרֵץ (haporets), suddenly appears. Jewish tradition regards the title haporets as a code-like word for a complex of ideas dealing with the Messiah. Instances of individuals hinting at Scripture abound in the synoptic tradition, but fewer are the places where a modern reader can catch a glimpse of Jesus or others combining verses based on a common word. Whether the combining is an example from rabbinic literature or the synoptic gospels, the hermeneutic principle is the same, an associative or concordance-like linking of verses on the basis of common phraseology or even merely vocabulary. The method is reflected in a rabbinic form of interpretation, applied to legal sections of the Torah, called gezerah shavah. 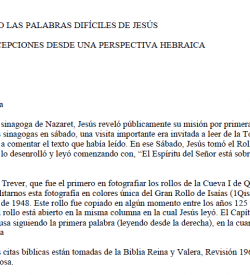 The aim of this article is to demonstrate that the words Jesus spoke to Peter regarding the keys of the kingdom of heaven should be viewed as an example of this associative thought process that so easily separates and recombines Scripture. The verse readily divides into two parts. The first part (19a) is about the giving of the keys of the kingdom of heaven, and the second part (19b) speaks about binding and loosing. For the sake of mounting a case in clear, logical increments, discussion will focus first on 19b. It is widely recognized in both academic and popular commentaries that the language of 19b resembles that of Isaiah 22:22. The presence of the word “keys” in 19a also strengthens the association with Isaiah 22:22. Then I will set the key of the house of David on his shoulder; when he opens no one will shut, when he shuts no one will open. And I will drive him like a peg in a firm place…. It is possible that the expression “binding and loosing” in Matthew 16:19b is distantly related to this complex to which Isaiah 22:22 and Sifre Deuteronomy’s exposition on 2 Kings 24:16 belong. 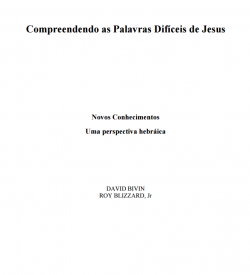 Scholars have spent much ink trying to pinpoint the meaning of Jesus’ words in 19b. Despite all efforts, the exact meaning remains very elusive. Let it be said, however, that Jesus bestowed on Peter an authority to be exercised within and on behalf of the community of believers that would emerge fully after Jesus’ resurrection. Peter’s designation as steward of the kingdom’s keys may have broad-based implications. He may have been invested, on the one hand, with the responsibility to ensure that Jesus’ unique teaching of Torah was properly applied among those constituting this new redemptive movement, which Jesus called the kingdom of heaven, and, on the other, with the authority to move God to redemptive action, which Jesus also spoke of in terms of the kingdom of heaven. In either or both cases, within the parameters of meaning allowed by the term kingdom of heaven in the synoptic gospels, God would be promising to establish what a righteous person, namely Peter, decrees. Returning to Matthew 16:19a, one reads, “I will give you the keys of the kingdom of heaven.” The bundle of keys that were given to Peter are those that a steward would carry. They are symbols of responsibilities delegated to a reliable party. In the Babylonian Talmud a story is told about priests to whom keys were entrusted. The tale is introduced with תָּנוּ רַבָּנַן (tanu rabanan, our teachers taught), which indicates its earlier origins. This story supplies two important bits of information. One is that the keys to the temple had a supernatural character. Belonging to God, the keys were entrusted by him to the priests, and, therefore, after publicly confessing their failure as stewards, the priests returned the keys to their owner. The other is that the stewards of the keys were required to be faithful or reliable. 2 Baruch is believed to have been written in the land of Israel about 110 A.D. by a Jewish author. This version differs significantly in two ways from that found in the Babylonian Talmud. One difference is that no mention is made of the priests throwing themselves from the temple roof. The second difference is that no proof text has been appended to the story. In the Talmud’s version the proof is Isaiah 22:1-2, which demands the detail of the suicidal action of the priests. When one reads the story in 2 Baruch, the emphasis is on the failure of the priests as faithful stewards. The tacking on of Isaiah 22:1-2 suggests that by the time the story was retold in the Talmud, it had assumed a literary function that deviated from its first telling. The story’s added features, namely, the death jump of the priests, and the tying of this new element to Isaiah 22:1-2, are indicative of a later stage in development. Therefore, the version in 2 Baruch almost certainly represents the earlier form. The four chief gatekeepers, who were Levites, were in an office of trust, and were responsible for the chambers and the treasuries of the temple. They spent the night in the temple precincts, because they were responsible for guarding them; and they were in charge of opening the temple’s gates [lit., in charge of the keys] every morning. C. F. Keil commented on בֶּאֱמוּנָה (be’emunah, “in good faith,” or what is translated above, “in an office of trust”) that these Levites “had been recognized to be faithful.” Thus, this passage contains the two elements that would be necessary to generate the story found in 2 Baruch: the idea that the priests were “faithful” stewards, and the idea that they were responsible for the keys of the temple. Note that the biblical text does not state who entrusted the keys to the priests; however, the story in 2 Baruch implies that God was the giver. In New Testament commentaries that make an effort to include discussion of rabbinic sources, one often finds Isaiah 22:22 and 2 Baruch 10:18 or Babylonian Talmud, Ta’anit 29a listed as relevant parallels to Matthew 16:19. The question that must be asked is, how do Isaiah 22:22 and the tale in 2 Baruch 10:18 fit together? If the story of the irresponsible priests was spawned by 1 Chronicles 9: 26-27, then this question may be answered easily. The link is the Hebrew word מַפְתֵּחַ (mafte’ah, key). Moreover, Targum Jonathan renders the Hebrew מַפְתֵּחַ בֵּית דָּוִד (mafte’ah bet david, the key[s] of the house of David) of Isaiah 22:22 into Aramaic as מַפְתֵּחַ בֵּית מִקְדְּשָׁא (mafte’ah bet mikdesha’, the key[s] of the temple). This means that in the world of Jewish exegesis Isaiah 22:22 and 1 Chronicles 9:27 are speaking of the same key(s). Though Targum Jonathan is not a particularly early text in regard to the date when it was revised and edited into its current form—what scholars call the final date of redaction—it does contain, according to Bruce Chilton, two strata belonging to the tannaic period and one to the amoraic period. He further suggests that the Aramaic rendering of Isaiah 22 may have its origins in material stemming from the period before the temple’s demise in 70 A.D. Ancient Jewish sages like Jesus and the contributors to Avot were concrete thinkers. Their sayings are laced with tangible images drawn from daily life in order to facilitate comprehension. For example, Rabbi Yohanan ben Zakkai used to say, “If all the sages of Israel were on one side of a pair of scales and Eliezer ben Hyrcanus on the other, he would outweigh them all.” The point of the saying is very clear: As a sage, Eliezer ben Hyrcanus is in a league by himself. It is interesting that the agoranomos, or Roman official appointed to oversee the local marketplace, carried a set of standard weights to ensure fair business practices. These standard weights were, moreover, sometimes fashioned into bust-like representations of the agoranomos himself! Thus, those who heard Yohanan ben Zakkai’s saying probably saw in their mind’s eye a pair of scales with a miniature chess-piece-like bust of Eliezer ben Hyrcanus on one side, and an array of similar busts on the other. This raises the question: What sort of realia from the Second Temple period might underlie Jesus’ response to Peter? Perhaps it was the set of keys used by the priests to lock the gates at the Neilah, or closing ceremony, of the temple in the evening. This blessing and dismissing of the people must have been a powerful image in many people’s minds, and a main feature of that event was likely the shutting of the gates with big, special keys. These special keys would have served the same function in Jesus’ day as the earlier set mentioned in 1 Chronicles 9:26-27. What is gained by recognizing the allusion to Isaiah 22:22 and 1 Chronicles 9:26-27 in Jesus’ words to Peter? Matthew 6:17-19 is one of the most Hebraic passages in terms of language, expression and thought to be found in the synoptic tradition. The expressions בָּשָׂר וָדָּם (basar vadam), or “flesh and blood,” and אָבִי שֶׁבַּשָּׁמַיִם (avi shebashamayim), or “my Father who is in heaven,” are examples par excellence of mishnaic Hebrew idioms embedded in the Greek of the gospels. After using these Hebrew idioms, Jesus makes a wordplay with Peter’s name, פֶּטְרוֹס (petros), and the word פֶּטְרָא (petra’). The wordplay is apparently the earliest known expression of a tradition that appears in a late rabbinic text about God’s searching for a reliable individual upon whom he can build. In the midrash, that individual is Abraham; but for Jesus, it is Peter. The motif of reliability is carried into verse 19 with the words “keys of the kingdom.” From 1 Chronicles 9:26-27 and the tale in 2 Baruch 10:18 one learns that God’s keys are given only to responsible, reliable parties. Because Peter is “solid” as rock, he is deemed worthy to be steward over the keys of the kingdom of heaven. Like the faithful Levitical priests, to whom God entrusted the keys of the temple, Peter now has been entrusted with the keys of the kingdom. With these keys comes authority. That authority, expressed through the Hebrew idioms “binding” and “loosing,” or in plain English, “prohibiting” and “sanctioning,” is backed by God. Jesus’ words in Matthew 16:19 are another remarkable example of ancient Jewish exegesis preserved in the synoptic tradition. Without a second thought, Jesus answered Peter with biblically saturated language. His words contained an allusion to a complex of ideas to which Isaiah 22:22 and 1 Chronicles 9:26-27 belonged. A central motif of the complex is that God’s keys are entrusted only to solid, trustworthy individuals. This same motif is also at the heart of Jesus’ wordplay in Matthew 16:18. And like all ancient Jewish sages, when teaching Jesus relied heavily on tangible images from daily life. Indeed, Peter and Jesus’ other disciples were familiar with keys, but the keys of the kingdom were not a metaphorical image merely based on ordinary house keys. Rather, the imagery derives its richness from the supernatural keys described in 2 Baruch 10:18 and perhaps from their later counterparts employed at the Neilah ceremony in the first century. Though the expression “keys of the kingdom of heaven” remains difficult to interpret, familiarity with ancient Jewish exegesis allows us to enjoy the subtler aspects of Jesus’ words and move one step closer toward unlocking their precise meaning. Underneath the Greek ἡ βασιλεία τῶν οὐρανῶν βιάζεται (e basileia ton ouranon biazetai) is likely the Hebrew מַלְכוּת שָׁמַיִם פּוֹרֶצֶת (malchut shamayim poretset, the kingdom of heaven is bursting forth). Cf. Matt. 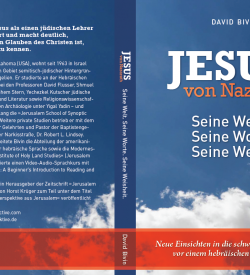 11:12 in the New International Version, which translates this phrase as “the kingdom of heaven has been forcefully advancing.” See David Flusser, Jesus in Selbstzeugnissen und Bilddokumenten (Hamburg: Rowohlt Taschenbuch Verlag GmbH, 1968), 40, 87. See also Robert L. Lindsey, “The Kingdom of God: God’s Power Among Believers,” Jerusalem Perspective 24 (1990): 6-8. Cf. David Daube, The New Testament and Rabbinic Judaism (New York: Arno Press, 1973; repr. Peabody, MA: Hendrickson Publishers, no date), 286-287. The eminent Hebraist Edward Pococke commented regarding Mic. 2:13 that it is easy to apply to John the title haporets (the “one who breaks open the way”) and by doing so “we have in the words, a most illustrious prophecy of Christ, and his forerunner John the Baptist” (A Commentary on the Prophecy of Micah [Oxford: Oxford University Press, 1676], 24). In 1988, an Oral Roberts University student, David Hill, rediscovered Pococke’s comment on Mic. 2:13. Three days before the Messiah comes, Elijah will come…he will say to them [the people of Israel]: “Peace has come to the world….” On the second day, Elijah will come…and say: “Good has come to the world….” On the third day he will come and say, “Salvation has come to the world….” At that time, the Holy One, blessed be he, will show his glory and his kingdom to all the inhabitants of the world. He will redeem Israel, appearing at their head, as it is said, “The breaker goes up before them. They break out and pass through the gate, leaving by it. Their king passes through before them, the LORD at their head” [Mic. 2:13]. The breaker goes up. Before they go up, the one who breaks through thorn fences and prickly hedges goes up before them in order to clear the way. Thus, it is said concerning the prophet Elijah that he will come before [God’s] redemption to direct the hearts of Israel to their father who is in heaven, to be a gateway to that redemption, as it is said, “Behold I am sending the prophet Elijah…and he will turn the heart[s] of fathers….” (Mal. 4:5-6). They break through. Those returning from exile also will break through fences and hedges and pass through the breach as if it were a gate and a way by which they can leave the Exile, that is to say, they will have the courage to turn to God in repentance, and as a result, they will depart the Diaspora. Their king passes on before them. As they return their king will pass on before them. He is the King Messiah. He will march at the head of them all, for at that time he, too, will restore his Shechinah to Zion. The phrase תָּנוּ רַבָּנַן (tanu rabanan) is a technical expression used in rabbinic literature. The root תנה (tav-nun-he) already appears in the Bible (Judg. 5:11). Cf. תָּנָה, entry II, Francis Brown, S. R. Driver, and Charles A. Briggs, The New Brown-Driver-Briggs-Gesenius Hebrew and English Lexicon (Peabody, MA: Hendrickson, 1979), 1072 . Cf. also the more common biblical verb שָׁנָה (shanah), entry III, ibid., 1040. The roots תנה (tav-nun-he) and שנה (shin-nun-he) carry the basic meaning of “to recite, repeat.” In Mishnaic Hebrew the root תנה (tav-nun-he) assumed a more specialized meaning. Cf. the entry תני in Michael Sokoloff, A Dictionary of Jewish Palestinian Aramaic of the Byzantine Period (Ramat-Gan, Israel: Bar Ilan University Press, 1990), 585, and the entry תני in Jastrow’s dictionary, 1681. It can be compared to a king who desired to build a palace. He began digging, searching for solid rock on which he could lay foundations, but he found only mire. He dug in several other sites, always with the same results. However, the king did not give up. He dug in still another location. This time he struck solid rock [petra’]. “Here,” he said, “I will build,” and he laid foundations and built. In the same manner, the Holy One, blessed is he, before he created the world, sat and examined the generation of Enosh and the generation of the Flood. “How can I create the world when those wicked people will appear and provoke me to anger?” he said.